Women with Disabilities Victoria (WDV) is the peak body of women with disabilities in Victoria. WDV does not provide direct advocacy representation or assistance to individuals. Should you need assistance with personal circumstances, we encourage you to first contact WIRE (Women’s Information and Referral Exchange Inc.). WIRE are the only Victoria-wide free generalist information, support and referral service run by women for women.They have a wide ranging database of services to which they can refer women needing support. Please visit the WIRE website, Ph: 1300 134 130 or E: support@wire.org.au. We are an organisation of women with disabilities in Victoria with a diverse and growing membership. Our members have a range of disabilities, backgrounds, lifestyles and ages. A world where all women are respected and can fully experience life. Engage the community to challenge attitudes and myths about women with disabilities. Our values uphold human rights and social justice. Monitor our work and report on outcomes. Women with Disabilities Victoria (WDV) is an organisation of women with disabilities for women with disabilities. WDV recognises that women with disabilities are among the most marginalised in our community and empowers women with disabilities to achieve their rights in Victoria. We focus on those areas where gender inequity and/or disability have the biggest impact on the capacity of women with disabilities to be respected and to fully experience life. Influence services: Educate and build the capacity of service systems and organisations to be accessible to women with disabilities. Health: Promote access to health services for women with disabilities. In focusing on our priority areas, we will respond to the social determinants of health for women with disabilities, promoting access to housing and employment for women with disabilities through our representation and policy work. 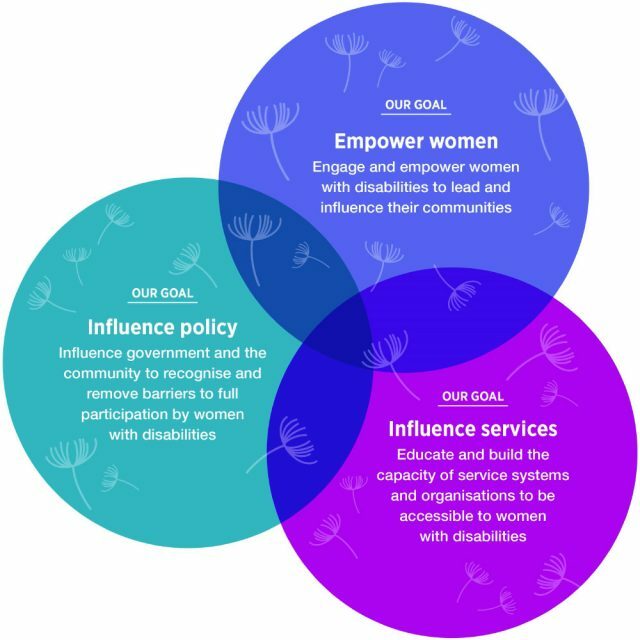 Guided by our members, we will wherever possible respond to new and emerging issues to stay relevant and reflect the concerns of women with disabilities. Members: Build and support our membership base. Relationships: Raise and maintain the profile of Women with Disabilities Victoria to share knowledge with key stakeholders and communities.